The company, under intense scrutiny from regulators worldwide after two 737 MAX 8 crashes killed more than 300 and led to the model’s grounding, said in a statement it is “still building airplanes and delivering 737 NGs.” That’s the older model that’s being phased out as Renton now predominantly makes the newer MAX models. 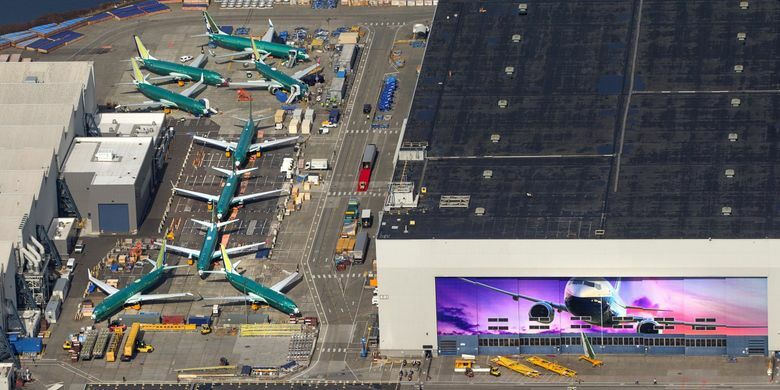 Boeing has been building 737s at an unprecedented rate of 52 per month, and was planning for even higher rates before the Lion Air crash in October and this month’s crash of an Ethiopian Airlines plane. Similarities between those crashes, which both occurred shortly after takeoff, have focused attention on a new automatic flight-control system called MCAS that kicks in under some circumstances. The company has said it aims to have a software fix for that system available in April. In the meantime, it said last week, it intends to continue building 737s. Under the terms of the Federal Aviation Administration’s grounding order, it can move those jets from Renton to Boeing Field, Moses Lake or other locations for storage if they are not yet approved for delivery and flight.